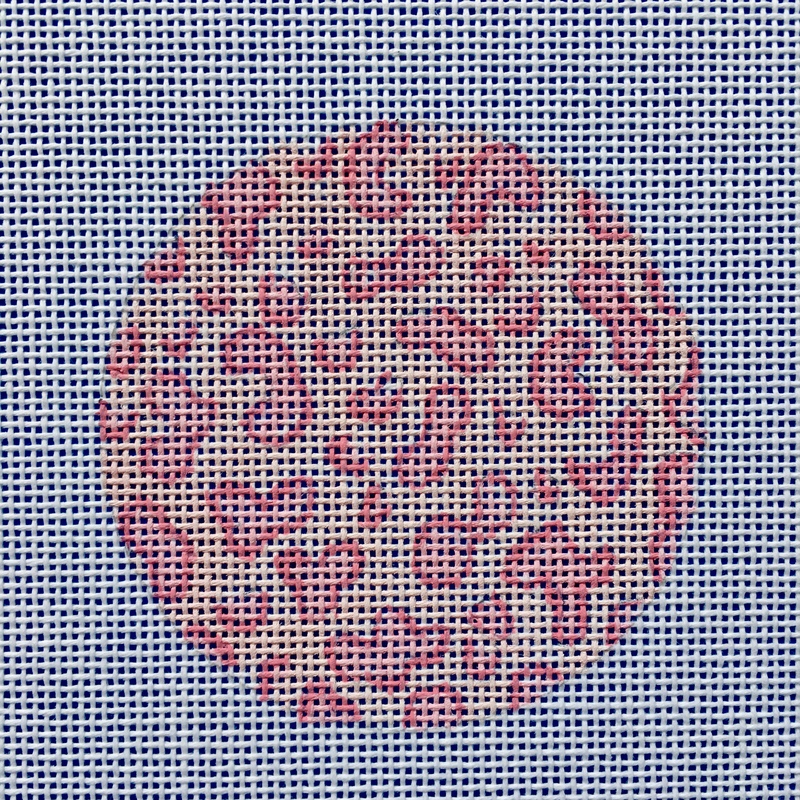 Pink spotted round painted on 18 mesh. Round is 3" and can be made into an ornament or luggage tag. Check out available luggage tags in our small leather goods area. We are happy to add a monogram for no cost. If you would like this kitted please add either the Pearl - XS or Silk/Silk blend - XS product to you cart. You can find them in below in the suggested products section. If you would like this kitted please add either the Pearl - XS or Silk/Silk blend - XS product to you cart. You can find them in below in the suggested products section.